• The HIMOINSA Team riders withstand the extreme duration of the marathon stage and solidifies its situation among the best. • Gerard Farrés stops to assist rider Pablo Quintanilla and gives up some time, although he manages to defend his ninth position in the general standings. • Dani Oliveras manages to hold the pace of the best despite having suffered altitude sickness for a long part of the day. • Iván Cervantes also stops to help rider Txomin Arana, who suffered a serious accident in the race. Tupiza (Bolivia). The second day of the great marathon stage at Bolivia is presented as one of the newest of this Dakar 2018. After the exhausting day yesterday, and after spending the night without technical assistance, the riders faced a 498 kilometers special, over the total 584 that they had to ride through in the day. All this with a very fast and complex route during which they reached more than 4,000 meters of altitude. Without a doubt, a day in which suffering was the main ingredient and in which many things would happen, as has also been the case among the group of favorites, where it has once again been important for factory teams. Gerard Farrés has completed a great stage, although he has given up extra time to stop to help to Pablo Quintanilla, who had symptoms of an anxiety attack on the course. For his part, Dani Oliveras has had altitude sickness during a part of the stage and that has forced him to lower his pace in many sections. However, both have been able to defend their positions in the overall classification and remain ninth and sixteenth, respectively. Shortly after, Iván Cervantes came across the very strong accident of rider Txomin Arana and stopped to help him until he was evacuated by the medical helicopter. Completing the day, once again, enduring the extreme hardness of this Dakar, Marc Solá, who is also in the top 25 and Rosa Romero, riding without faults and overcoming all obstacles. With all this, the HIMIOINSA team not only remains as the best private team of the race, but is the only one among the greats that has kept all its riders in the race. Gerard Farrés (@gerardfarres): “I am very happy because at this stage of the rally, and with what has already happened, I believe that there is no fault, today I found Quintanilla sick and I stopped to help. He was very nervous, there we lost some time but it’s clear when it comes to helping someone in trouble. I’m glad he’s okay, and because of the result, we’re still in the top 10 and very regular. happy “. Marc Solà (@ marsola34): “We are exhausted. Yesterday, in the first part of the marathon stage, there were times when I had to slow down because I could not take more of the bike, and what we had now was an even worse. It has been very hard, in my case, almost 12 hours of special in total, plus the links, a huge beating in these two days in Bolivia, really happy the whole team got through in full and well classified in a great result “. 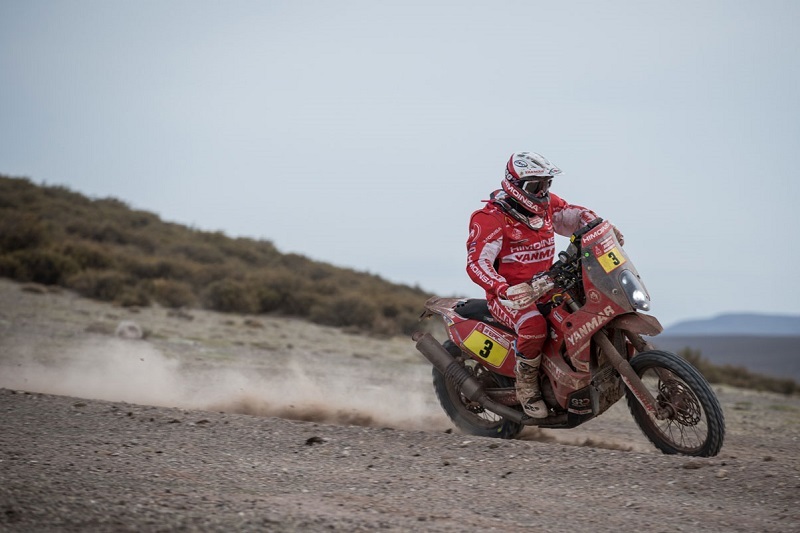 Next stage: Tupiza – Salta (the organization of the Dakar has confirmed this afternoon that this stage 9 is canceled, so the teams will go directly to Salta by road).